We bring you an extensive array of various blankets that are available in plethora of colors,sizes and designs. Their vivid colors, smooth texture and warmth make them the preferred choice of our discerning clients. 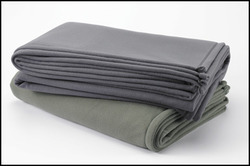 We are recognized as one of the leading manufacturers and suppliers of Fleece Blanket. 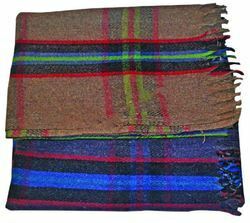 These blankets are offered in various color combinations, designs, and patterns. The fabric which is used to manufacture these blankets is sourced from certified vendors. Further, these are tested in our quality unit by our quality inspectors to ensure zero defects. Our offered range is manufactured keeping in mind the set international standards of quality. 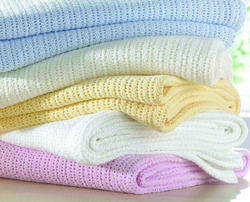 Due to high durability, warmth, and softness, our offered range is appreciated by our valued clients. We are providing Relief Blankets in different blends, sizes, colors and weights, depending upon the requirement of the clients. These blankets are made of superior quality material that renders durability and desirable warmth to the end user. The range of non woven fabrics have received appreciation for their durability, fine finish, texture and long lasting life. Our clients can avail these products at industry leading prices and in various customized forms as per their choice. Hospital Fleece Blankets offered comprise high quality hospital fleece blankets that come developed using 100% polyester material and can be offered in multiple sizes and weights as demanded by the customers. Further, these blankets can be offered in different color options as well as with features like anti-pilling, anti-static finish; superior quality material; high density and soft warm usage feel; non-fading construction finish; expertise in supplying best quality blankets as demanded by the customers. 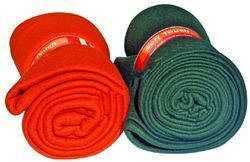 The Relief Blankets offered by ARA India are soft and lightweight, providing a welcome layer of warmth anywhere you need it. Handy and versatile, this all-cotton blanket is available in a size of 185cm X 225 cm.However the size and colour can be modified.